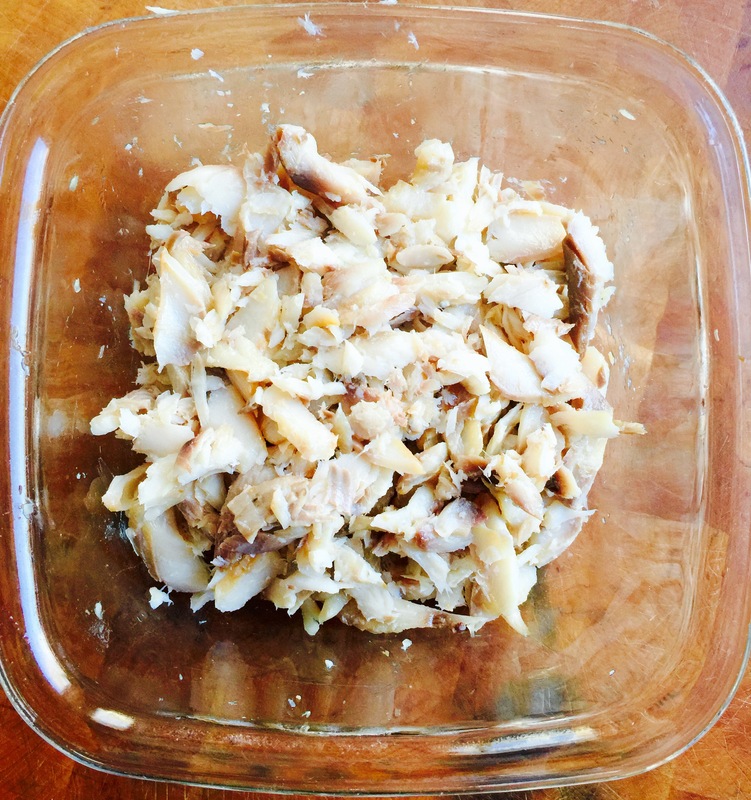 Most everything’s better when you do it yourself, and smoked whitefish salad is no exception. Sure, I can get whitefish salad at my favorite deli when I go home to New York, and it’s pretty good. But they treat the whitefish like they do tuna: they mash the fish to the point where you can’t recognize what you’re eating. And then they add a ton of mayonnaise as filler. 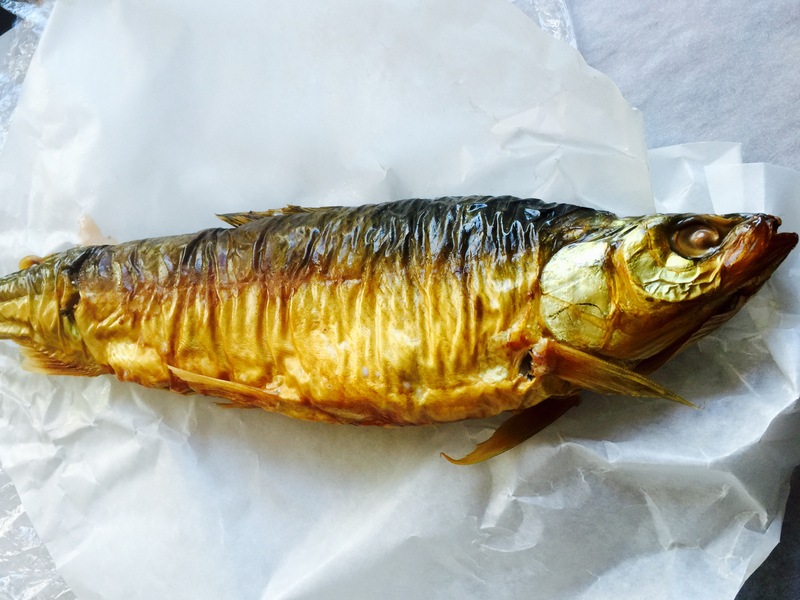 On a recent visit home, I bought a nice whole smoked whitefish from my favorite supermarket on steroids: Fairway (one of my stops in New York for fish, meat, coffee, and cheese.) I took extra care to really go through all the meat a couple of times to make sure there weren’t any sharp bones left in it. And I left the whitefish meat in small pieces, much like I would with crab meat. Interestingly, I didn’t learn how to make whitefish salad from my Jewish New York neighbors. 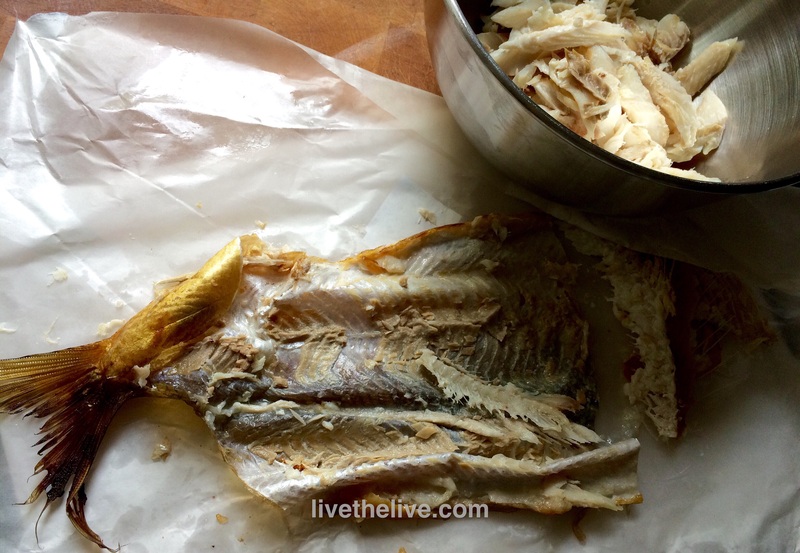 I learned it from my father-in-law in the Upper Peninsula of Michigan, where smoked whitefish is a favorite treat, caught right in the waters of the Great Lakes. Buying whitefish at one of many smoke shacks at the foot of the Mackinac Bridge, which connects the Lower Peninsula to the Upper Peninsula of Michigan. Real fish has real bones, so make sure you go through the meat a couple of times. Place the meat in a bowl. Add the rest of the ingredients and mix well, but gently to keep the meat from breaking apart. Spoon onto crackers and enjoy! Growing up in NY, I was introduced to smoked whitefish, herring, and lox at an amazing deli just down the road from my parents’ house. My wife’s family from Michigan, meanwhile, caught the whitefish, herring and salmon and smoked it themselves. Now we share our mutual love of smoked fish at home in Rhode Island. 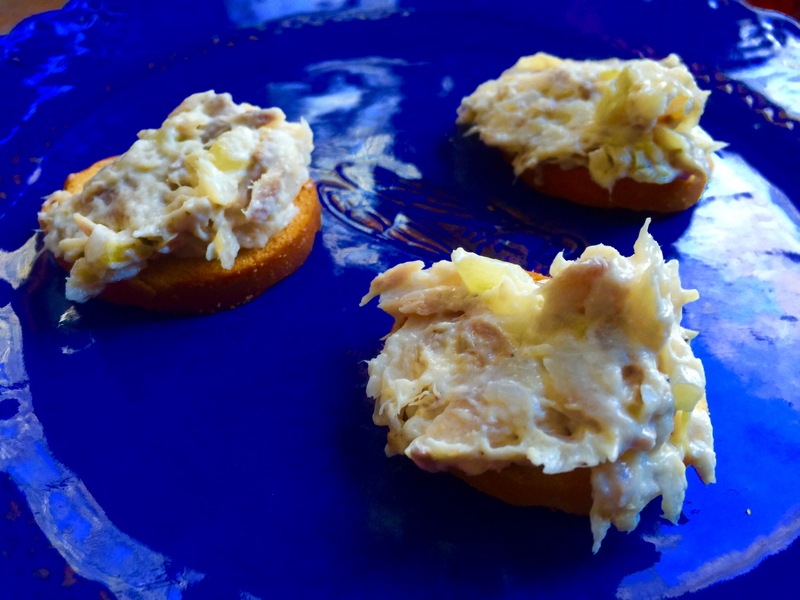 My Yooper father-in-law showed me how to properly remove the meat cleanly from the smoked whitefish then I took his recipe for smoked whitefish salad and tweaked it. 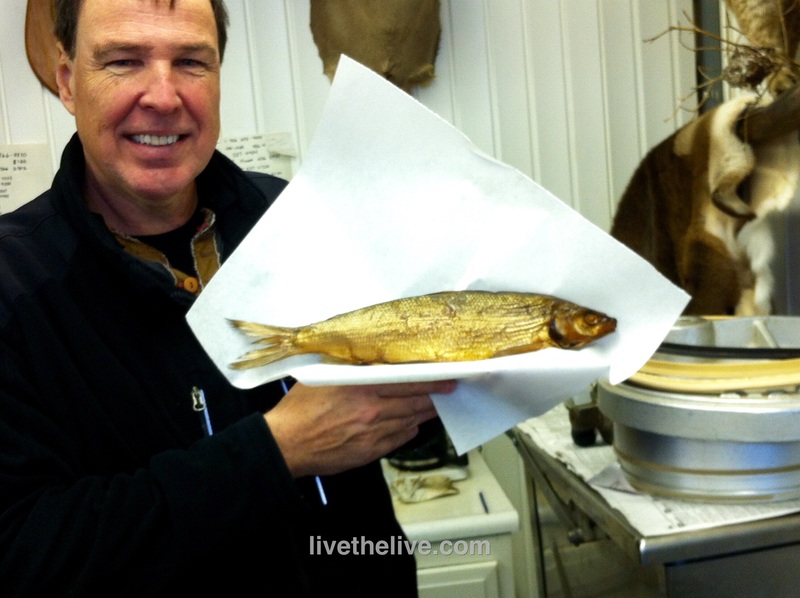 Remove the meat from the smoked whitefish carefully, making sure all the small bones have been removed. Doublecheck to make sure you’ve done this really well. Place all the white fish meat in a bowl. Combine all other ingredients with the fish thoroughly using a fork. 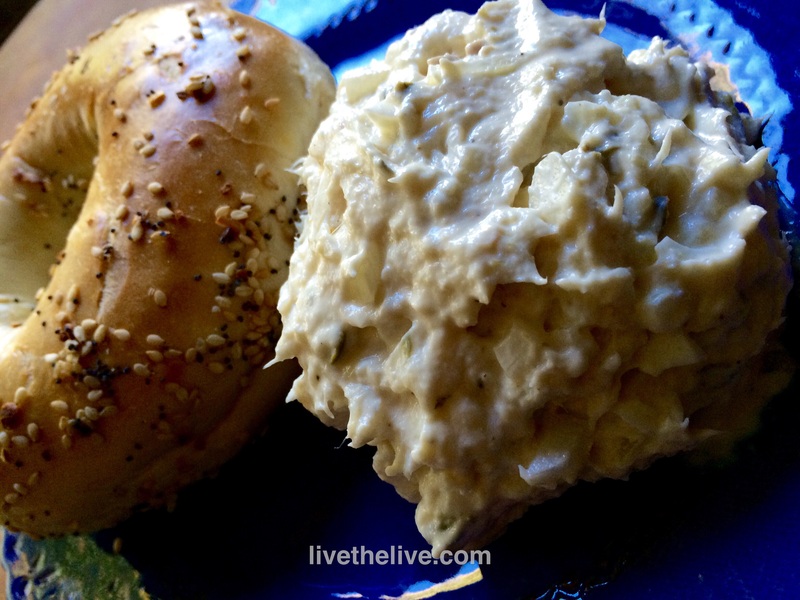 Serve with crackers, or my favorite: a toasted everything bagel from New York!